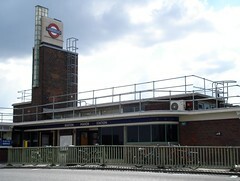 Zone 4 Tube station in Boston Manor, on the Piccadilly Line. There is one entrance, on the west side of Boston Manor Road. Last edited 2015-05-09 18:29:46 (version 7; diff). List all versions. Page last edited 2015-05-09 18:29:46 (version 7).